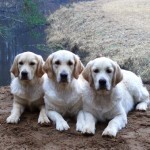 They were historically developed as gundogs to retrieve shot waterfowl such as ducks and upland game birds during hunting and shooting parties. 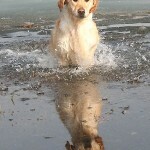 As such they were bred to have a soft mouth to retrieve game undamaged and have an instinctive love of water. 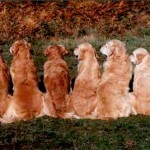 The golden retriever has a dense inner coat that provides them with adequate warmth. The outer coat is sleek and water repellent, and lays flat against the body. 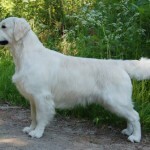 The official colour of the breed is the varying shades of gold that are most often seen. 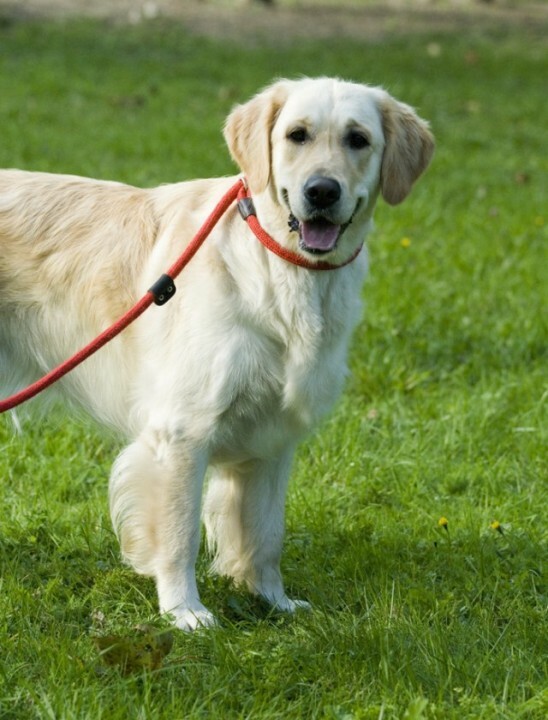 Golden Retrievers possess a friendly, eager-to-please demeanour, and are the fourth most popular family dog breeds (by registration) in the United States, the fifth most popular in Australia, and the eighth most popular in the United Kingdom. 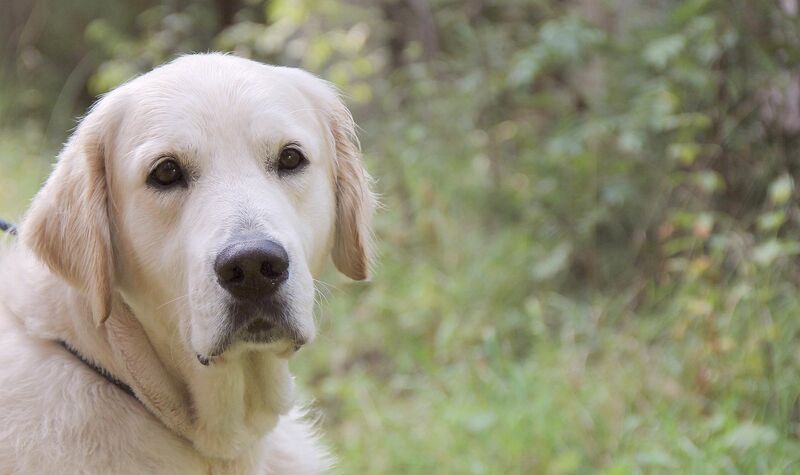 The Golden Retriever was first developed in Scotland at “Guisachan” near Glen Affric, the highland estate of Sir Dudley Marjoribanks later Baron Tweedmouth. For many years, there was controversy over which breeds were originally crossed. In 1952, the publication of Majoribanks’ breeding records from 1835 to 1890 dispelled the myth concerning the purchase of a whole troupe of Russian sheepdogs from a visiting circus. 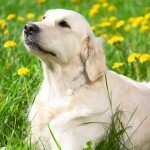 The original cross was of a yellow-coloured Retriever, Nous, with a Tweed Water Spaniel female dog, Belle. The Tweed Water Spaniel is now extinct but was then common in the border country. 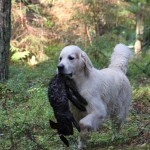 Majoribanks had purchased Nous in 1865 from an unregistered litter of otherwise black wavy-coated retriever pups. In 1868, this cross produced a litter that included four pups; these four became the basis of a breeding program which included the Irish Setter, the sandy-coloured Bloodhound, the St. John’s Water Dog of Newfoundland, and two more wavy-coated black Retrievers. 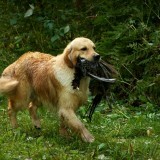 The bloodline was also inbred and selected for trueness to Majoribanks’ idea of the ultimate hunting dog. 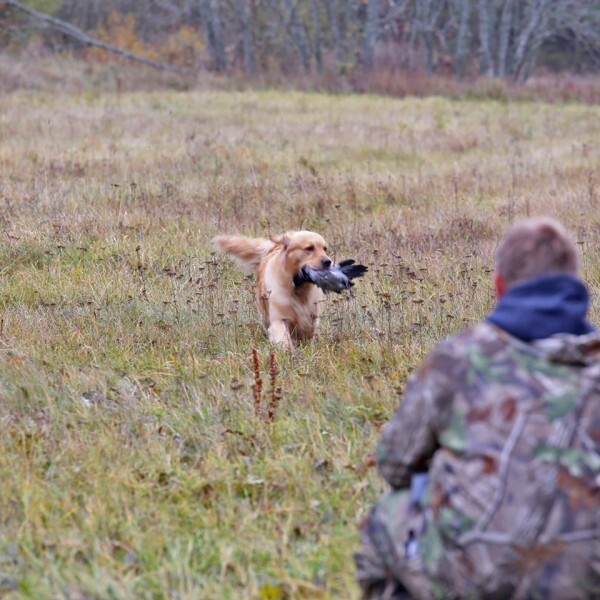 His vision included a more vigorous and powerful dog than previous retrievers, one that would still be gentle and trainable. 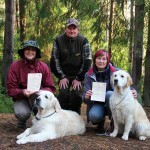 Russian sheepdogs are not mentioned in these records, nor are any other working dog breeds. 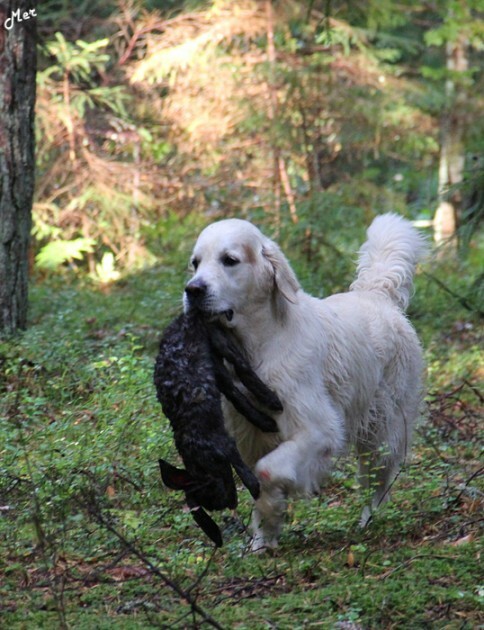 The ancestry of the Golden Retriever is all sporting dogs, in line with Majoribanks’ goals. 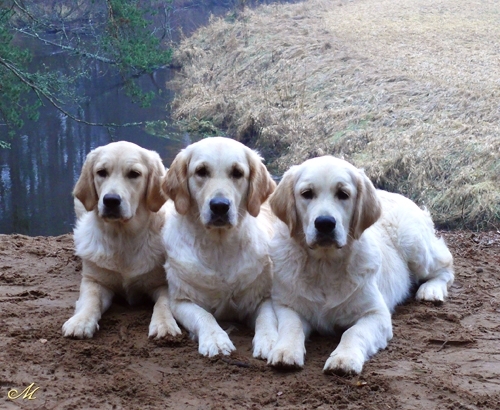 Golden Retrievers were first accepted for registration by The Kennel Club of England in 1903, as Flat Coats – Golden. 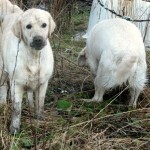 They were first exhibited in 1908, and in 1911 were recognised as a breed described as Retriever (Golden and Yellow). 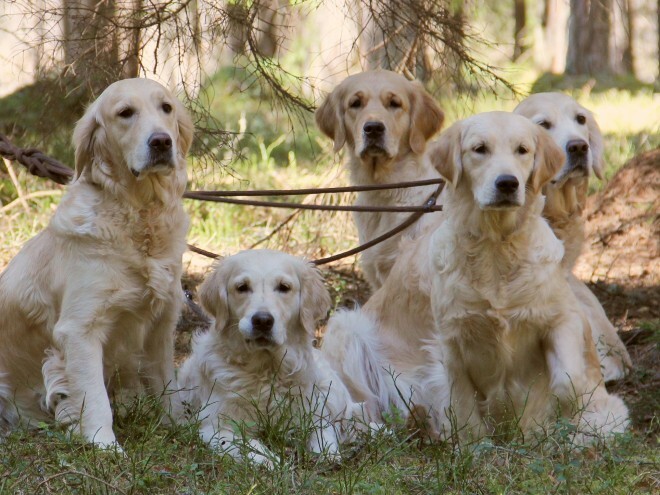 In 1913, the Golden Retriever Club was founded. 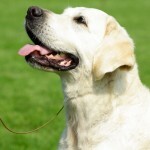 The breed name was officially changed to Golden Retriever in 1920. The Honourable Archie Majoribanks took a Golden Retriever to Canada in 1881, and registered Lady with the American Kennel Club (AKC) in 1894. 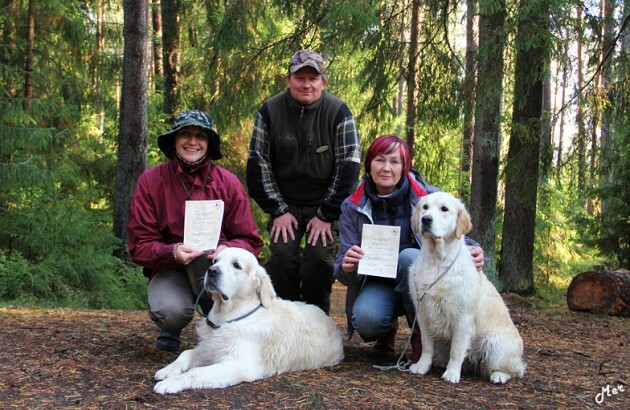 These are the first records of the breed in these two countries. The breed was first registered in Canada in 1927, and the Golden Retriever Club of Ontario, now the Golden Retriever Club of Canada, was formed in 1958. 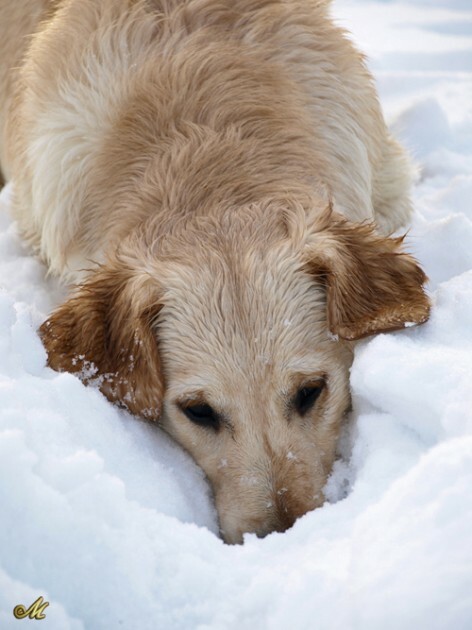 The co-founders of the GRCC were Cliff Drysdale, an Englishman who had brought over an English Golden and Jutta Baker, daughter in law of Louis Baker who owned Northland Kennels, possibly Canada’s first kennel dedicated to Goldens. 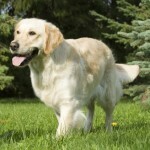 The AKC recognised the breed in 1925, and in 1938 the Golden Retriever Club of America was formed. 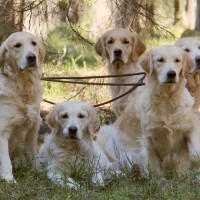 Some variations do exist between the British type Golden Retrievers prevalent throughout Europe and Australia, and those of American lines and these differences are reflected in the breed standard. The muzzle of the British type of dog is wider and shorter, and its forehead is blockier. It has shorter legs, with a slightly deeper chest, and shorter tail. Its features make it generally heavier than the American type. Males should be between 56–61 cm (22–24 inches) at the withers and females slightly shorter at between 51–56 cm (20–22 inches). Their weight, however, is not specified in the UK standard. The KC standard calls for a level topline and straight hindquarters without the slight rear angulation found in American lines. The eyes of the European type are noted for their roundness and darkness as contrasted with the triangular or slanted composition of their American counterparts. 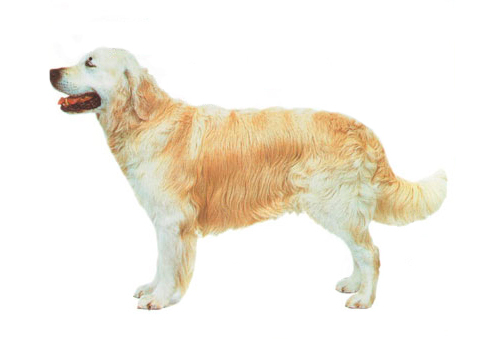 A Golden Retriever of British breeding can have a coat colour of any shade of gold or cream; however, red or mahogany are not permissible colours. Originally cream was not an acceptable colour in the UK standard; however, by 1936 the standard was revised to include cream. 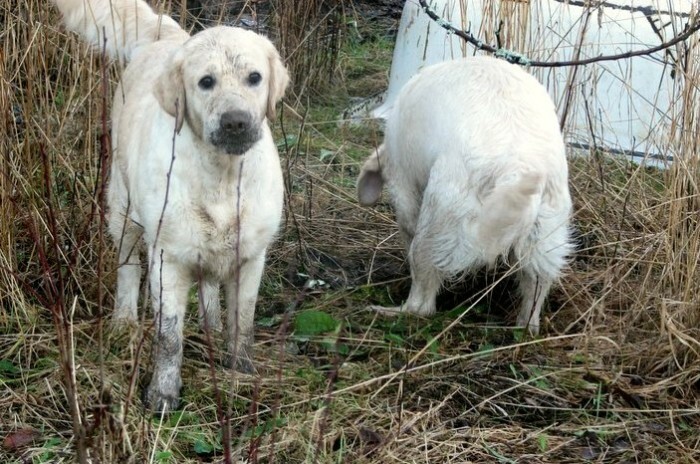 It was felt this exclusion was a mistake as the original “yellow” retrievers of the 19th century were lighter in colour than the then current standard permitted. As with American lines, white is an unacceptable colour in the show ring. The British KC standard is used in all countries with the exceptions of the USA and Canada. Some breeders of this type in America may import their dogs to improve the temperament and health noted in those bloodlines . 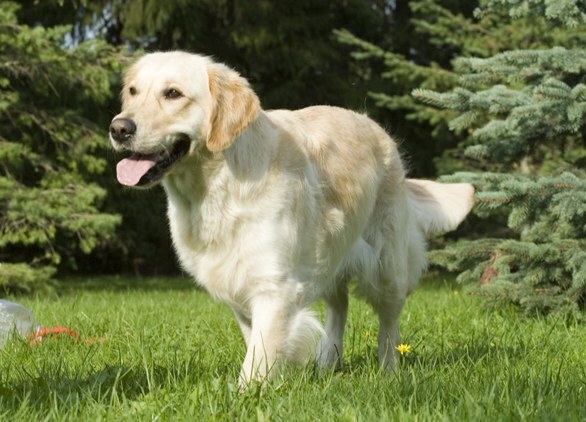 Golden Retrievers vary widely in colour.As indicated by their name, their coat comes in light golden colours to dark golden colours. The coat and undercoat are dense and waterproof, and may be straight or moderately wavy. It usually lies flat against the belly. The American Kennel Club (AKC) standard states that the coat is a “rich, lustrous golden of various shades”, disallowing coats that are extremely light or extremely dark. This leaves the outer ranges of coat colour up to a judge’s discretion when competing in conformation shows. Therefore, “pure white” and “red” are unacceptable colours like black . 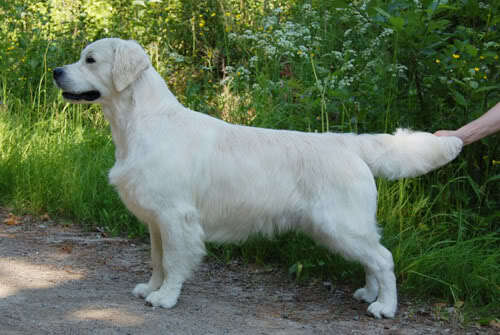 The Kennel Club (UK) also permits cream as an acceptable coat colour. 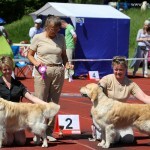 Judges may also disallow Goldens with pink noses, or those lacking pigment. The Golden’s coat can also be of a mahogany colour, referred to as “redheads”, although this is not accepted in the British show ring. 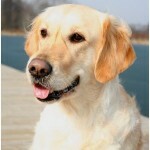 As a Golden grows older, its coat can become darker or lighter, along with a noticeable whitening of the fur on and around the muzzle. Puppy coats are usually much lighter than their adult coats, but a puppy with a darker colouration at the tips of the ears may indicate a darker adult colour. 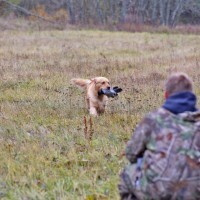 A golden’s coat should never be too long, as this may prove to be a disservice to them in the field, especially when retrieving game. 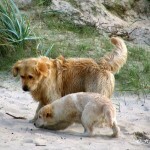 Golden Retrievers under adult age generally need less grooming care than adult dogs, but if a large amount of time is spent on grooming, a puppy will more likely tolerate adult grooming. Grooming tools include guillotine nail clippers or nail filers (particularly motored), slicker and pin brushes, and a grooming comb. Golden Retrievers do well bathing once every week or every two weeks, and they will shed minimally if brushed quickly everyday. 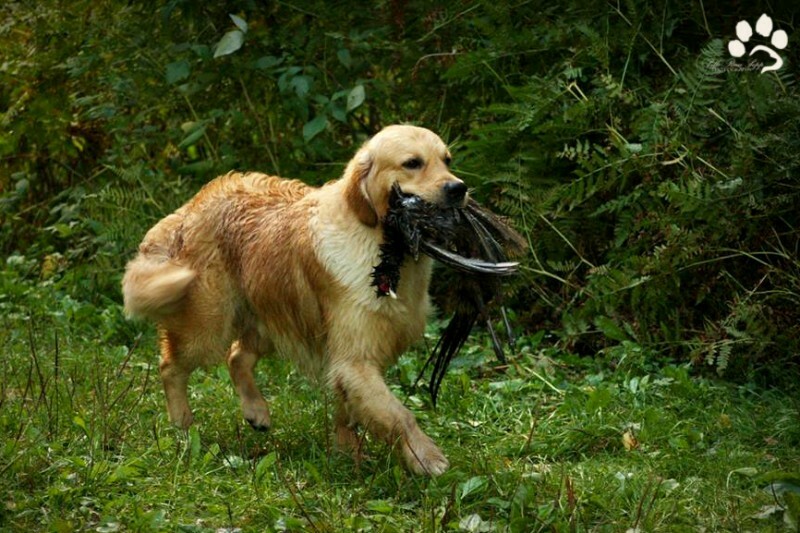 Golden Retrievers shed moderately to heavily, shedding year round and particularly in spring and early summer. 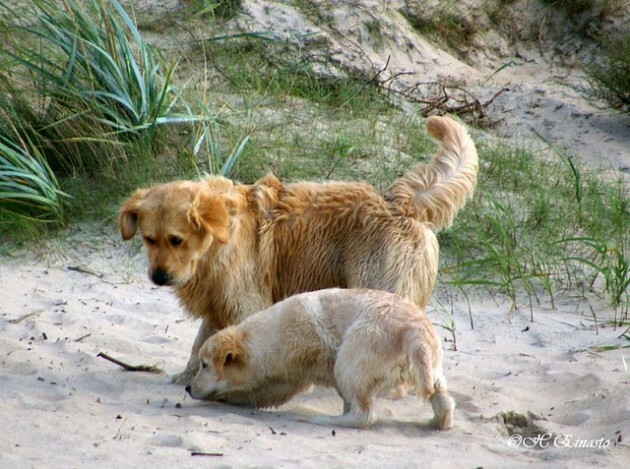 Golden Retrievers were bred to retrieve from the water.The temperament of the Golden Retriever is a hallmark of the breed and is described in the standard as “kindly, friendly and confident”. They are not “one man dogs” and are generally equally amiable with both strangers and those familiar to them. Their trusting, gentle disposition therefore makes them a poor guard dog. 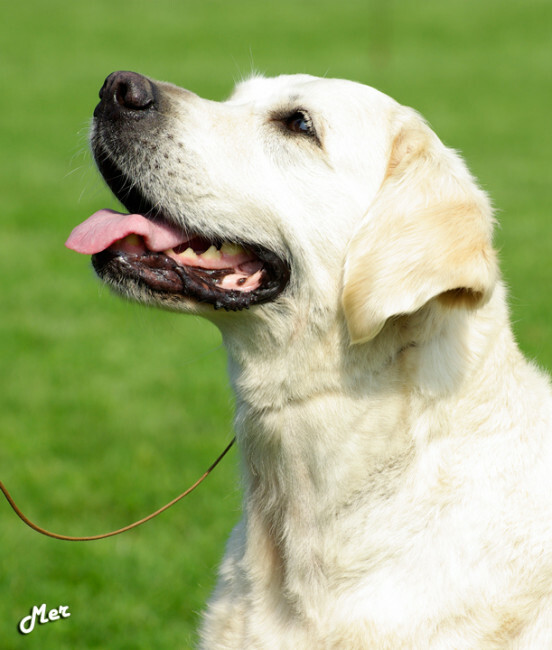 Any form of unprovoked aggression or hostility towards either people, dogs or other animals, whether in the show ring or community, is completely unacceptable in a Golden Retriever and is not in keeping with the character of the breed and as such is considered a serious fault. 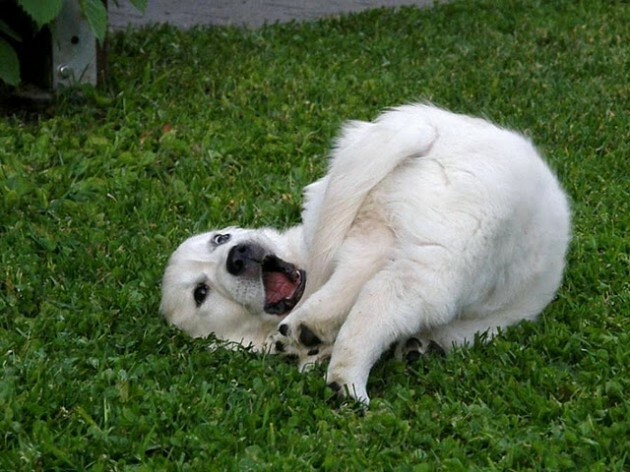 Nor should a Golden Retriever be unduly timid or nervous. 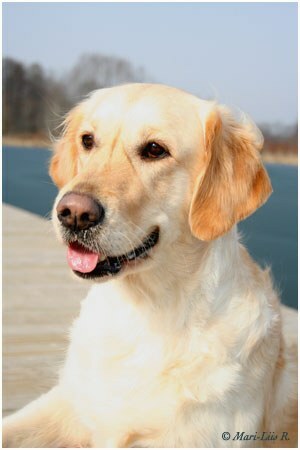 The typical Golden Retriever is calm, naturally intelligent and biddable, with an exceptional eagerness to please. 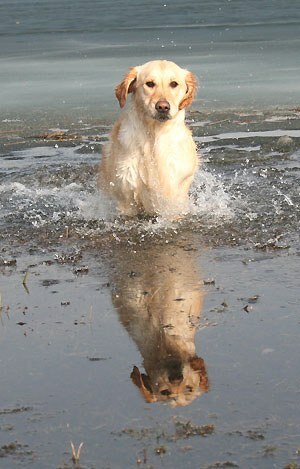 Most Goldens are high energy and need plenty of exercise, such as dog agility. Golden retriever puppy jumping to catch a treat.Golden Retrievers are also noted for their intelligence, it ranks fourth in Stanley Coren’s The Intelligence of Dogs following the Border Collie, Poodle, and German Shepherd Dog, being one of the brightest dogs ranked by obedience command trainability. These dogs are also renowned for their patience with children. Other characteristics related to their hunting heritage are a size suited for scrambling in and out of boats and an inordinate love for water. 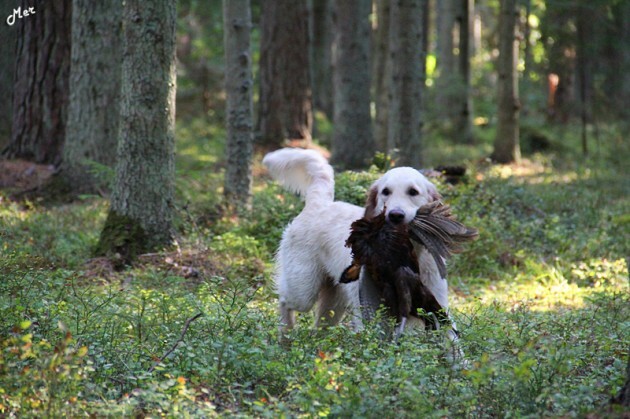 Golden Retrievers are exceptionally trainable—due to their intelligence, athleticism and desire to please their handlers—and generally excel in obedience trials. 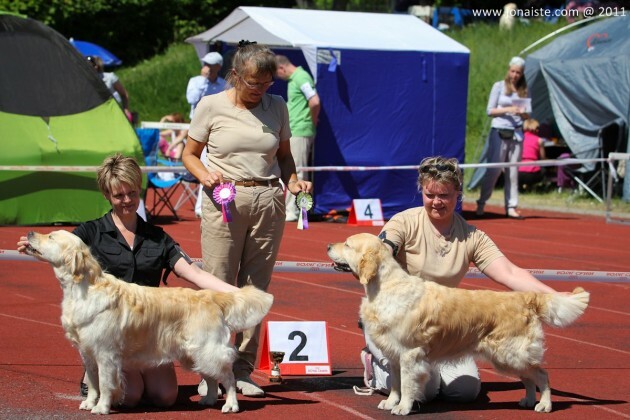 In fact, the first AKC Obedience Trial Champion was a Golden Retriever. They are also very competitive in agility and other performance events. 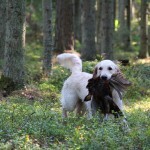 Harsh training methods are unnecessary as Golden Retrievers often respond very well to positive and upbeat training styles. A golden retriever at 15 years old.The average life span for a Golden Retriever is 11 to 11½ years. 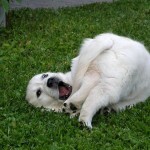 Golden Retrievers are susceptible to specific ailments. A responsible breeder will proactively minimise the risk of illness by having the health of dogs in breeding pairs professionally assessed and selected on the basis of complementary traits. Cancer, the most common being hemangiosarcoma, followed by lymphosarcoma, mast cell tumour, and osteosarcoma. 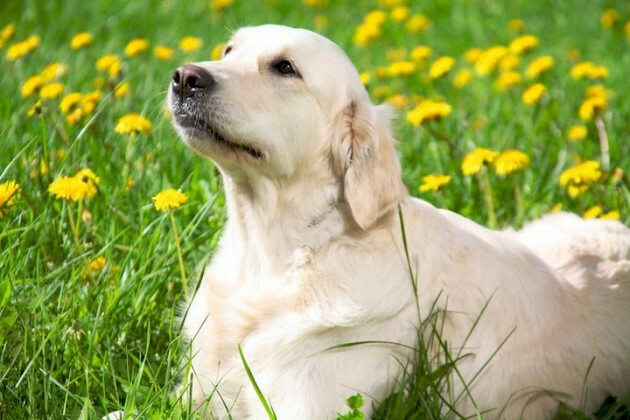 Cancer was the cause of death for 61.4% of American Goldens according to a 1998 health study conducted by the Golden Retriever Club of America, making it the breed’s biggest killer. A 2004 survey by the UK Kennel Club puts this number at 38.8%. Eye diseases, including cataracts (the most common eye disease in Goldens), progressive retinal atrophy, glaucoma, distichiasis, entropion, corneal dystrophy and retinal dysplasia. Heart, especially subvalvular aortic stenosis and cardiomyopathy. Joint diseases, including patella luxation, osteochondritis, panosteitis, and cruciate ligament rupture. Skin diseases, with allergies (often leading to acute moist dermatitis or “hot spots”), particularly flea allergies, being most common. Others include seborrhoea, sebaceous adenitis, and lick granuloma. 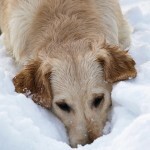 Lyme Disease is unseen until the late stages of kidney failure also in a Golden Retriever. 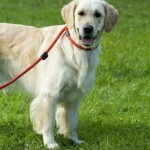 The Golden Retriever’s eagerness to please has made them consistent, top performers in the obedience and agility rings. 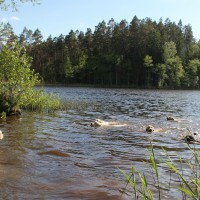 Plus with their excellent swimming ability they are great at dock jumping. 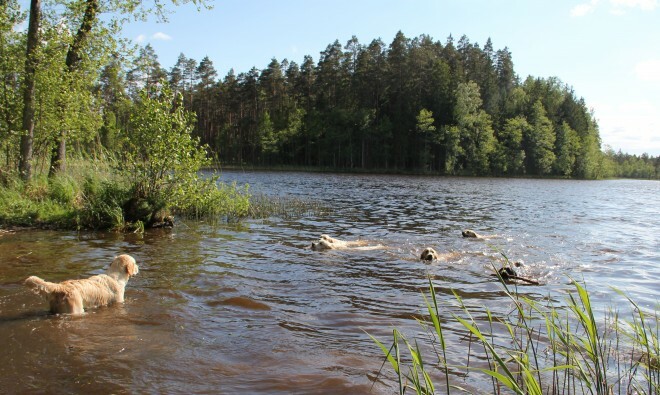 Their natural retrieving ability also sees them excel in flyball and field trials.